As you know, this year we are celebrating our Platinum Anniversary- so I couldn't resist pulling together a little platinum inspiration to celebrate this special occasion! 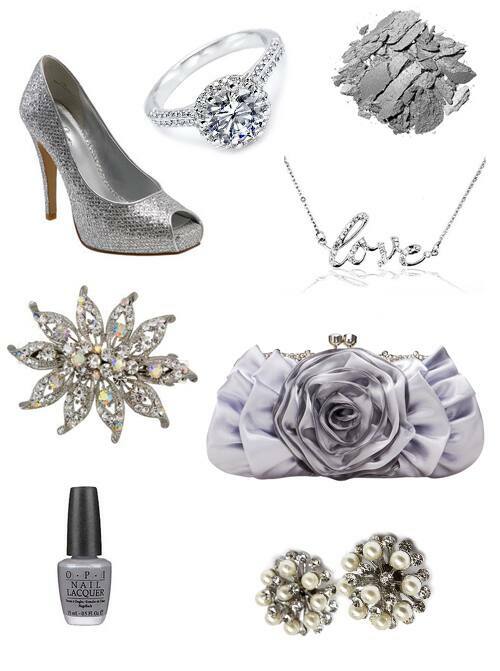 From silver eye shadow to an ultra-girly clutch, this inspiration board combines modern chic with ultra glam. Don't you think the love necklace would make an adorable bridesmaid gift?